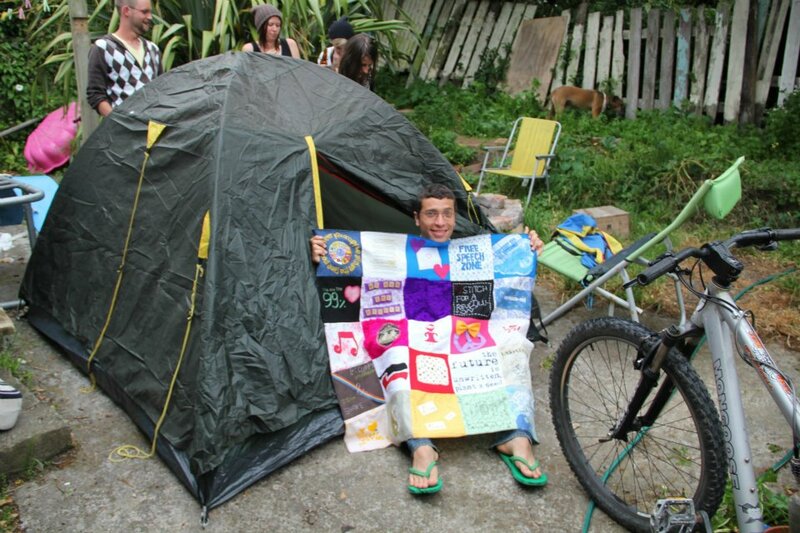 Wellington Craftivism Collective: Occupy The World! 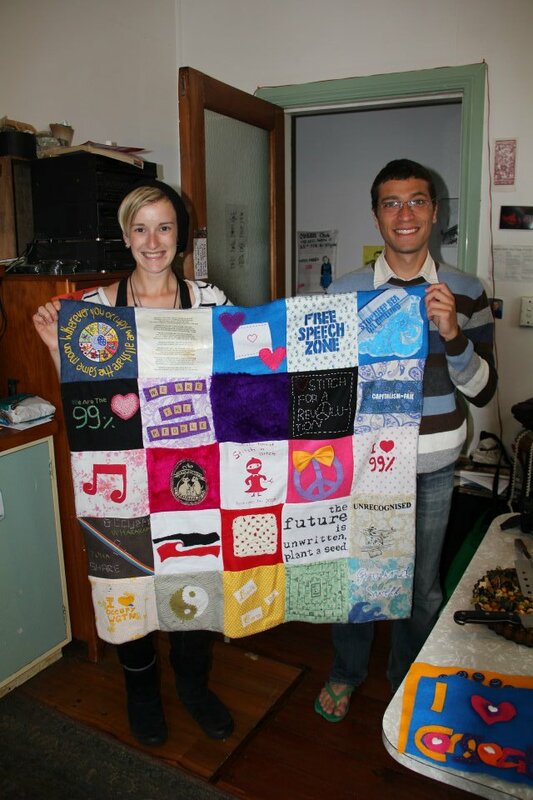 We are very Excited to announce that the first 'mini' blanket is now starting its World Tour! This is the very first part of the blanket which will spread it's wings and spread our message far and wide with Anderson, our loyal Collective Member. Hopefully many other 'mini' blankets will soon be born too and visit many world wide destinations. Once the blankets return to Wellington we will then Loving stitch them toegther to make our 'GIANT' Blanket!